One of the things I most love about researching retail history is the way that interesting stories can emerge from the tiniest leads. 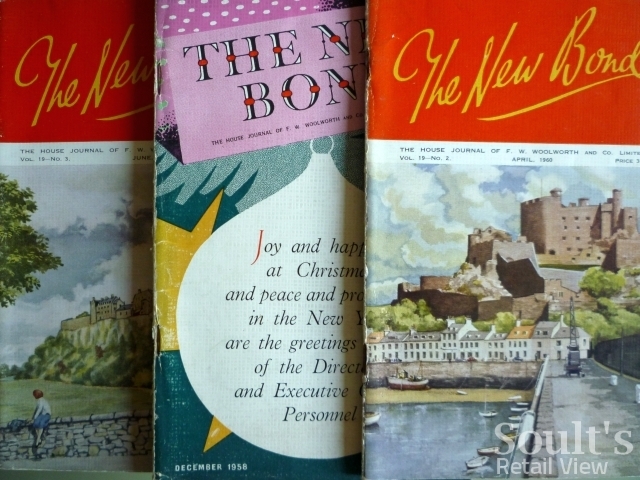 As a Woolworths enthusiast, I’ve recently discovered that a fantastic starting point for retail history nuggets of a Woolies nature is The New Bond, the ‘house journal’ of F. W. Woolworth & Co. Ltd that was published between 1935 and 1972. I’ve picked up a few editions from eBay – all from between 1956 and 1960 – and each one gives a fascinating snapshot of the business at the time. 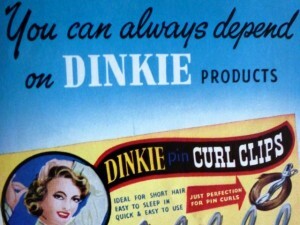 Dinkie - "famous the world over for curlers and hairgrips"
Photographs of award presentations for long-serving staff sit alongside news of new stores, latest fashion patterns, recent staff weddings, articles and ‘appreciations’, all interspersed with colourful adverts for Dinkie curlers and Polythene Food Bags. 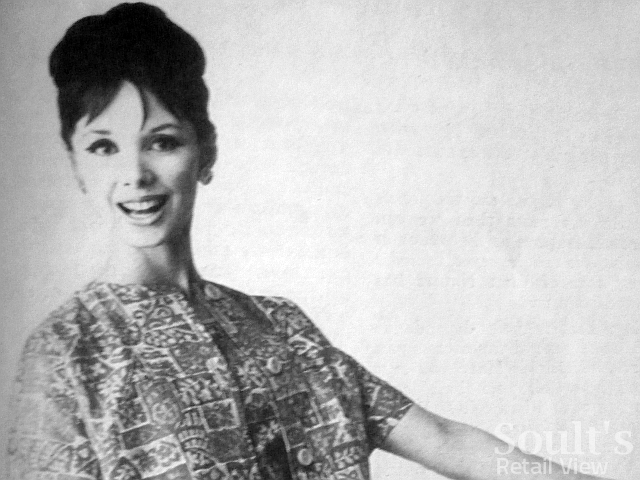 The tone is all very quaint and paternalistic, of course, but some of today’s retailers could do worse than picking up some tips from how Woolies communicated and engaged with its staff half a century ago. This jacket would apparently be "ideal for travel and sight-seeing"
From a historical point of view, one of the most useful things about The New Bond is the way in which it immortalises Woolworths stores that had already closed many, many years before the whole business finally collapsed in 2008 – shops such as those in Ripley (now Amber Value) or Byker (now Decorflair), for instance, that shut down in the 80s or 90s. In many case, little detail of these stores being old Woolworths can be found on the web (or on site), meaning that written testimony (such as The New Bond), old photographs and postcards, and the memories of those old enough to remember become the main sources of evidence. Here in the North East, I’m still using such sources to come across former Woolworths stores that I never knew existed, including ones in Blaydon (long demolished, and which I’m still planning to blog about), Sunderland’s Pennywell estate, and Crook in County Durham. I’m yet to do any research into the Crook store, but a quick look at Google Street View makes me think that it was more than likely in the premises currently occupied by Boots – a building that has all the usual architectural attributes of a purpose-built Woolies. 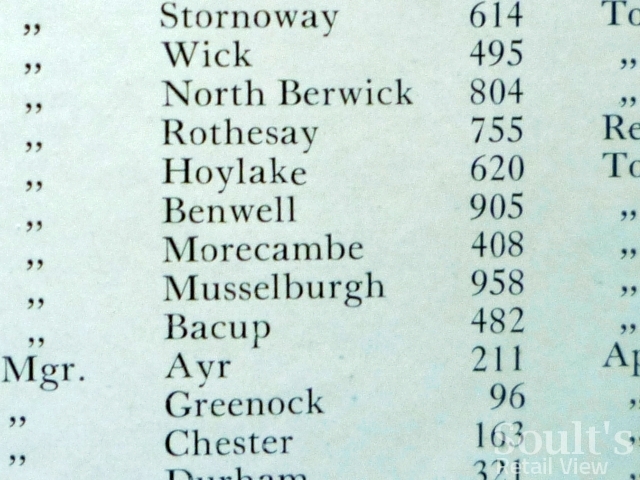 On that topic, I was intrigued to come across a reference in the June 1960 edition of The New Bond to a Woolworths store – number 905 – in the Newcastle suburb of Benwell. It crops up twice under the ‘Changes and Appointments’ column for ‘Liverpool District’, listing Mr W D Johnson, Manager, who had left Benwell to go and manage a new store (1034) in Stretford, and who was replaced by Mr T R Pearson, previously Deputy Manager of the Durham shop (321). Needless to say, I was completely unaware that Benwell had ever had a Woolworths, and was determined to find out more. Fortunately, the obvious Google search for ‘Woolworths Benwell’ struck gold, bringing up a fascinating local heritage guide to Benwell’s Adelaide Terrace shops, including a photograph labelled “Looking west along the Terrace from Woolworths which was originally the Adelaide Cinema, c.1969”. As you might expect, I was now even more fascinated, given that there can’t be very many Woolworths that ever opened up in former cinemas. Searching the web for anything to do with the Adelaide Cinema brought up very little of use, so I turned to my trusty Cinemas of Newcastle book by Frank Manders in the hope that it would enlighten me. Sure enough, the two-page spread about the ‘Adelaide Picture Hall’ added some detail to the story, revealing that it opened, as Benwell’s first cinema, in 1910; around a decade later, a two-storey stone-faced annexe was built in order to create a new foyer. Manders reports, however, that the cinema only lasted another twenty or so years, officially closing on 1 February 1943. After use as a depot for Pathe, the book confirms that the the property became a Woolworths store, and, at the time of writing (1991), was “now a discount autoparts shop, recognisable as a former cinema from the side and rear.” After another Google Street View excursion, followed by a visit in person, we duly have a photograph of Benwell’s old Woolies – still in use, indeed, as a discount autoparts shop. The chimneys may have gone, and windows and a shopfront have been punched into the old auditorium, but it’s remarkable quite how similar the building still looks to how it did in 1937. Viewed from the side, Manders is absolutely right about the building’s past role as a cinema being easy to spot. As always, however, there is still lots more to find out. For example, what year did the Woolworths store open, and when did it close? Do photographs exist of the building when it was in use as a Woolworths? 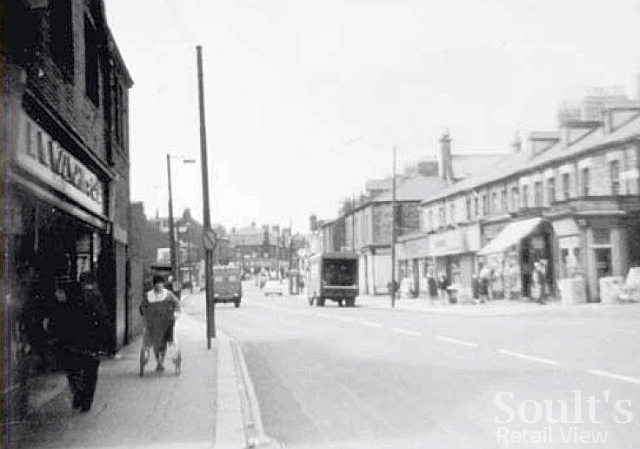 And what memories do local people still have of shopping or working at the store? Knowing the contributions that readers to this blog have made in the past, I suspect it may not be too long before we have some answers! i have the full first year of “the new bond” woolworths mag for christmas 1935 to december 1936, and the 12 issues all in thier original binder…very rare, are you aware that thier was only 100 printed of the first issue?? Interesting! I didn’t know that only 100 were printed… why so few? I worked on a Saturday at Shields Rd, Newcastle upon Tyne branch and got the princely sum of 13/6d for a full day starting 8.45am and finishing at 6.15pm. I was under 16yrs but not sure exactly. That was in or around 1958 and assume it wouldnt be allowed these days? I loved it as worked on hardware selling electrical goods and crockery etc. My friend Anne was on the sweet counter! I worked for Woolies in the 60’s and 70’s. 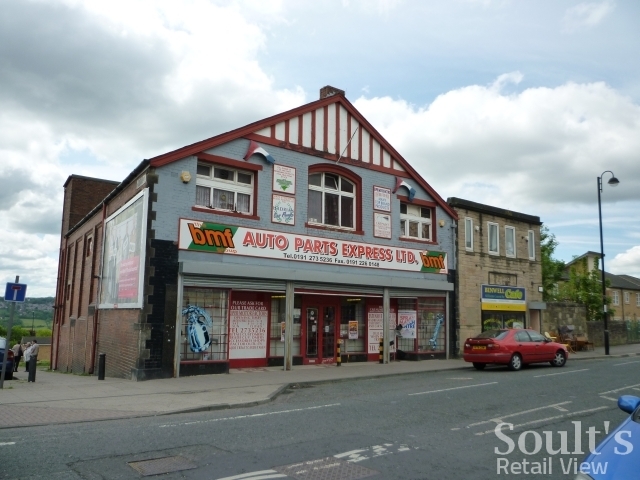 Stores include Liverpool, Warrington, Macclesfield, Birkenhead, Galashiels, Spennymoor, Edinburgh. My name is Hugh Pitcher, anyone remember meeting me? Someone mentioned Kirkcaldy. The original Woolies closed in 1987/8, and became Kirkcaldy Indoor Market. In the mid 1990s, a new Woolworths music and video store opened on the High Street, where Costa Coffee is now. It was just a music and video store, nothing else. When Tesco bought Wm Low, Tesco closed their store in the Mercat centre in Kirkcaldy, and moved staff to the former Wm Low store in the Postings. Woolworths then took over this store. It’s now split, as Peacocks and Home Bargains. There used to be a woolworths in cupar fife and can vaguely remember when it was renovated and extended in the late sixties the original manager was a Donald Whitfield he used to make up airfix kits and put them on display to promote sales and when new models came out he used to give me the ones which he had taken down. cant remember when he left the cupar branch possibly before the renovations the manager after him was Harry Melotte. Kirkcaldy woolworths opened in the late 50’s/late sixties and was designed by an architect employed by fw woolworths the dean of guild plans are in the fife archive in markinch and there is a database of dean of guild plans on the archive website. hi we have an old woolworth building here in Kilkenny, it was turned into \A RESTAURant come bakery and in the late 90’s became Paris Texas a sort of restaurant and a night club affair, it is still going to this day, there maybe a few old pictures around, haven’t checked the web sight for Kilkenny, but if you google it is in High Street opposite Vicar St. Like your site. As a matter of interest we still have a Christopher Wray the Kings Road Chelsea lighting shop which is also a restaurant that is round the corner in Patrick St, Zumi hotel. sorry graham the camera being bought there was the reminder it was 1959 I cant remember ever going in again except maybe for bullets[sweets] dont know when it opened or closed. You found some journals in your loft, could it possible if I could see some of the journals 1960 onwards. I`m looking for a long lost relative. 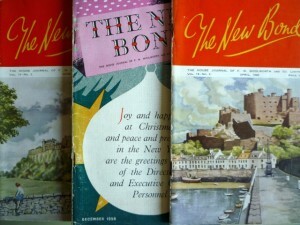 I think I have every copy of The New Bond, the ‘house journal’ of F. W. Woolworth & co. They were found in our loft. Please get in touch if there is any you require. That’s a nice story Peter! Do you have any idea of when the store oepned or closed? I lived in Matilda Street born 62 until 72. My late mother Audrey’s family were called Dixon.Parents James and Mary. Oldest brother born 55 was George.Did you know them? I am on of 5 admins on a Facebook group, collecting old images of Newcastles West End. Would it be possible to use your images of the Adelaide Terrace Woolworths store/Cinema, and we would give full credit and a link to your blog. These images would be a great addition to the group, and of interest to many. Hi I`m looking for copies of “The New Bond” 1960-1972, my mother and my sister work for woolies at these times, can anyone help. You and me both Steve! So am I Steve….did you have any luck? Thanks John! Has there been anything in the old Tiverton Woolies to date, or has it remained empty all this time? 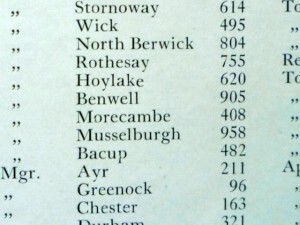 I think the total number of places they would have traded at would exceed 1200, merely on the number of relocations that occured in areas I worked, lived, or was otherwise familiar with. I can remember branches that were closed where a new one opened nearby at: Wood Green, Ilford, Sutton in Ashfield, Leicester, Nottingham City Centre, Loughborough, and Harlow, although not all involved the new one openeing straight away. In some cases, years elapsed between a store closing and a new one opening – that was where they pulled out of an area altogether, but years later decided to go back. For example, in Nottingham, the Hockley branch (known as the “little Woolworths”) closed in the early 1970’s (the premises are still there; walked by them yesterday) and the main branch closed in the early 1980’s. (That main Nottingham branch is now occupied by M&S on the west side of Lister Gate and apart from a “shop locked pub”, comprised all of the other shops on that side of the road, down to, and including the HMV store at the end nearest to the Broad Marsh shopping centre. Years later, they opened a branch in the Victoria shopping centre. That closed in the early 1980’s (again, the building still exists) but the final branch opened nearby a number of years later. I see that alworths continue to expand. They are opening in the old Woolworths premises in Hertford in August 2010, and according to the BT phone book, they have had the telephone put on at the old Woolworths premises in Fore St, Tiverton, Devon. You need to search for both Woolworth and Woolworths (with and without the s on the end). Amongst the results will be the Empire cinema in Eastwood as it was as a Woolworths store, and a search for Empire in Eastwood will show the cinema itself. Many thanks John – some really good stuff there. I’d always wondered what the peak number of stores was; it would also be interesting to know the total number of Woolworths sites, i.e. all those locations that had a Woolworths store at one time or another. I suspect that must be 1,200 plus? 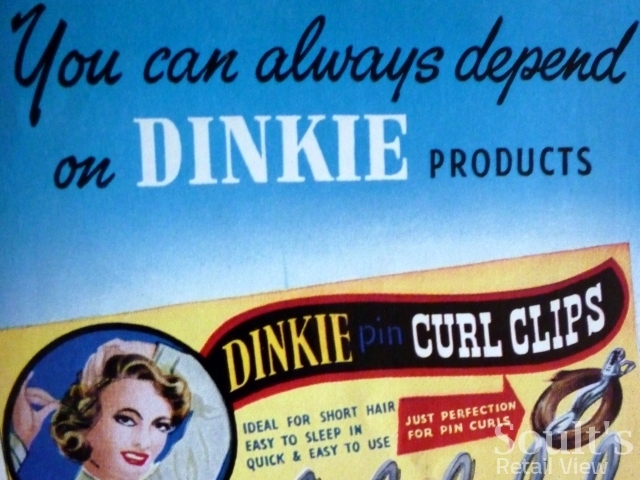 The peak number of stores was about 1140 in the late 1960’s, which means that at least 300 branches closed before the company failed – and that does not include branches which were closed due to relocation. 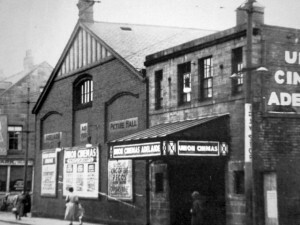 The branch in Eastwood, Nottinghamshire, was a converted cinema, whilst Bulwell, Nottingham was a converted music hall. The original branch at Ilkeston, Derbyshire was also a closed cinema, but that closed when they relocated to the location they were still at at the end. 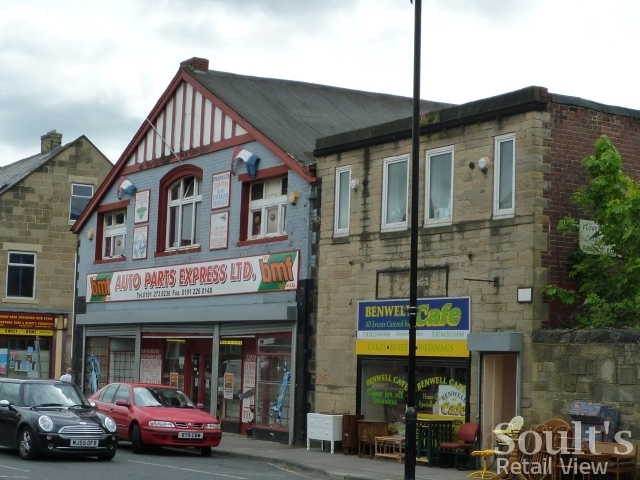 In the 1970’s, they went through a process of modernising the stores, and identified, closed, and sold many premises that they felt had no long term profitable future, and the number dropped to about 1000. At that time, they owned most of the freeholds debt free and the proceeds paid for the modernisation program. After the US parent sold out in the early 1980’s, the new owners closed and sold a number of large city centre stores purely to raise cash to fund other projects. 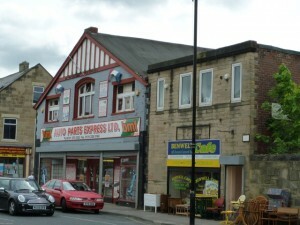 There then followed a strategy of selling freeholds (to raise cash) and leasing the stores back. They also closed a number of stores and used them for other businesses that Kingfisher at that time owned (such as the Woolworths branches in Beeston and Hucknall, Nottinghamshire, which became Superdrug). At the time of demerger in 2002, they still owned about 200 freeholds – which were probably mainly those in bad locations where no-one was interested in buying them. It is said that Kingfisher did deals with investors to sell the freeholds in return for Woolworths being saddled with long term adverse leases. I saw an article which said that had those stores not been sold like that on demerger, and had Woolworths not been saddled with debt it inherited from the demerger, that even today, they would still be trading and would not owe anyone anything. If you go to the web site at 100thbirthday.co.uk and look at the store fronts page, there are numerous images of many of their branches over the years, including some that have been gone for a very long time. There used to be a joke that the defining feature of a “town” was that the place had a branch of Woolworths. With hindsight, that was probably rather an accurate assertion. Well spotted Tas, and many thanks for sharing the fruits of your research. I’ll have to pay a visit to Crook to get a photo of the building as it is today! http://www.tomorrows-history.com/projects/PJ0100100001/Shopping%20Past%20and%20Present.htm confirms your thoughts about Crook’s Woolworths: “Boots the Chemist is next to this, on the site of the old Woolworth store. 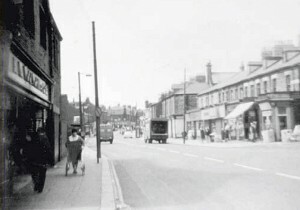 On observation, it can be seen to have the characteristic Woolworth frontage.” As well as the photos below this, there are also some in the “Market Place” section. Interestingly this site is, in the pre-1910 photo shown occupied by “Isaac Wilson” who is revealed by http://www.archive.org/stream/cu31924091514970/cu31924091514970_djvu.txt to be a “druggist”, making Boots’ use of the site quite appropriate! The one I remember from my youth – not least because I bought my first records there – was the one on Church Street in Seaham. Opened in the thirties, closed sometime in the mid-eighties. An early fatality, long before the start of the collapse.